During our most booked outing you will experience a relaxing cruise on the Meuse, do a fun activity and finish with a dinner. A fun day out for everyone. Get on board at the Sluizer. Our captain will sail you past historical places. Moeke Mooren has a beautiful location by the Meuse river, on the border of the provinces of Gelderland and Brabant. The luxury passenger ship De Sluizer guarantees a fantastic cruise on the Meuse river and day trip through the Land van Maas en Waal area. In both summer and winter you will experience the Meuse at its best. The Sluizer has an inside & outside deck. Our captain will take you all year round on the Meuse along historic villages. He guides the tours with interesting facts about the nature reserve, architecture and the passing villages. Discover De Gouden Ham and the Mooringerwaarden areas. Enjoy the amazing rustic surroundings. Cruise past historical places such as the De Gouden Ham recreation area and the Mooringerwaarden nature reserve along the Meuse river. 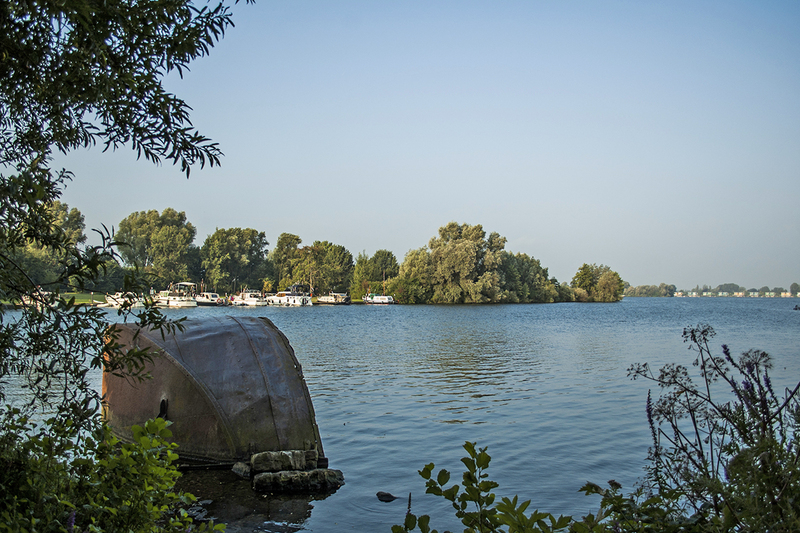 De Gouden Ham is an impressive and versatile water recreation reserve in the Land van Maas en Waal area. Because of the beautiful location by the water you get an optimal holiday feeling. The area has an open connection to the Meuse and is ideal for boating enthusiasts. The beautiful nature makes the visit to De Gouden Ham unforgettable. Combine cosiness and fun by engaging in indoor activities. Indoor Disco Minigolf : try to play the 18 different courses with disco lights with as few strokes as possible. Let out chef surprise you. Enjoy a delicious three-course menu in a charming restaurant. 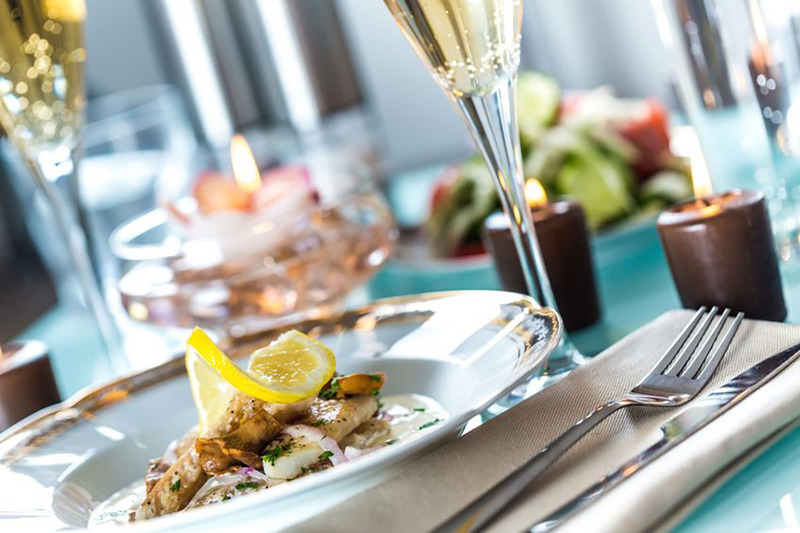 You can enjoy a delicious three-course menu composed by Moeke Mooren’s chef. The three-course menu consists of a (seasonal) starter, main course and dessert. Quality and hospitality are our motives. All dishes are prepared with care and are of high quality . Our welcoming atmosphere guarantees a pleasurable experience. You can also enjoy a unique view of De Gouden Ham nature reserve. Come and enjoy it in our cozy restaurant and be surprised by what our chef has in store for you. Reception with coffee / tea & cake followed by a cruise through historic pictures, the recreation area De Gouden Ham and the nature reserve Mooringerwaarden. After the cruise you can choose the next activity. Choices are: Bowling, Indoor Disco-style Minigolf, Old Dutch games or the Escape room (additional charge of € 11.00 per person). Afterwards it’s time for a delicious three-course menu. The menu consists of a soup of the day, of the pig or fish dish of the season and dessert of the day. Not interested in the full package?